I’m a huge fan of the ILX’s exterior design right out of the box, but the RonJon Sport Design team looks to take it a step further with this concept rendering. 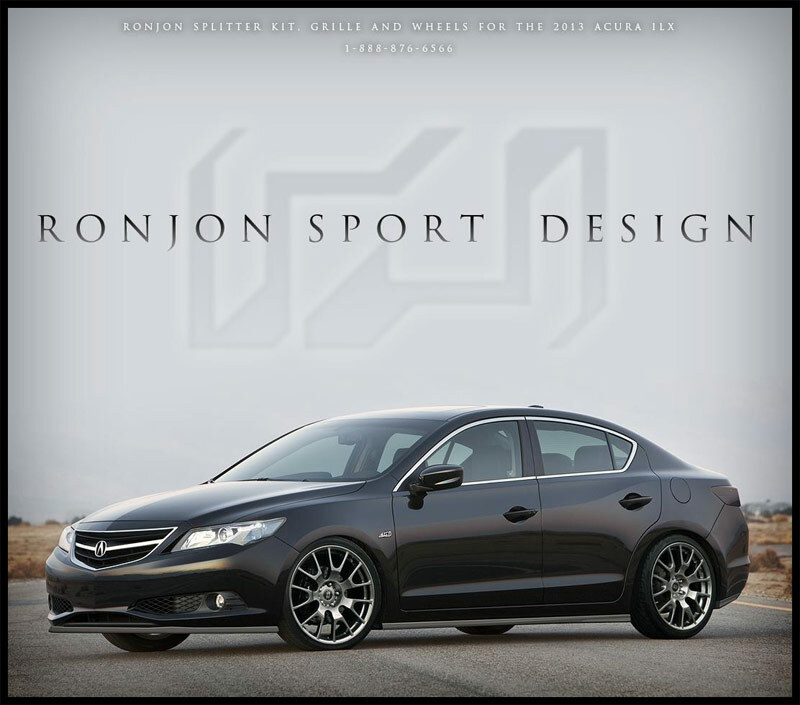 The Crystal Black Pearl ILX gets a new set of RonJon wheels, and teases an upcoming Splitter kit that’s in the works. They’ve also added a new, simplified grille that they’re looking for feedback on. The newest iteration of the Acura “shield” grille works so well on the ILX, so I’m a bit undecided. What do you think? Click on the thumbnail below for a high resolution image. Overall I like the design. Wheels are a nice choice, love the low stance. The grille is odd to me. It has the feel of a 97-99 Acura CL to me. This is one case where I think the “shield” actually looks better. Maybe just paint the shield a darker graphite color to go with the wheels? Nicely executed either way. The grille works, but looks a bit old school Acura, could be a good thing. Love everything else and even the clear signals. I think it depends on the color ILX for the front grill. I can see the concept grill working better on a white color ILX then the shielded style. I own the silver moon color and agree with Tyson that it feels like a throw back grill. I love this design of the ILX. It’s amazing that everything that I didn’t like about the ILX, has been changed here. It’s almost scary actually. The “shield” has got to go. It makes these newer models look gaudy. Too much chrome for a front bumper. The grill designed here looks great. These changes are exactly the modifications I would make if I were to buy an ILX. I believe this design should be put into play. I can almost guarantee a better turnout in sales.